When it comes to planning a trip to Montreal, the usual suspects emerge. Old Montreal's European sights, the outdoor charm of Mount Royal, Jean-Talon Market's epicurean bites, the Olympic Village's concentration of attractions, and foodie scene delights inevitably make travel short lists. Don't forget Downtown. 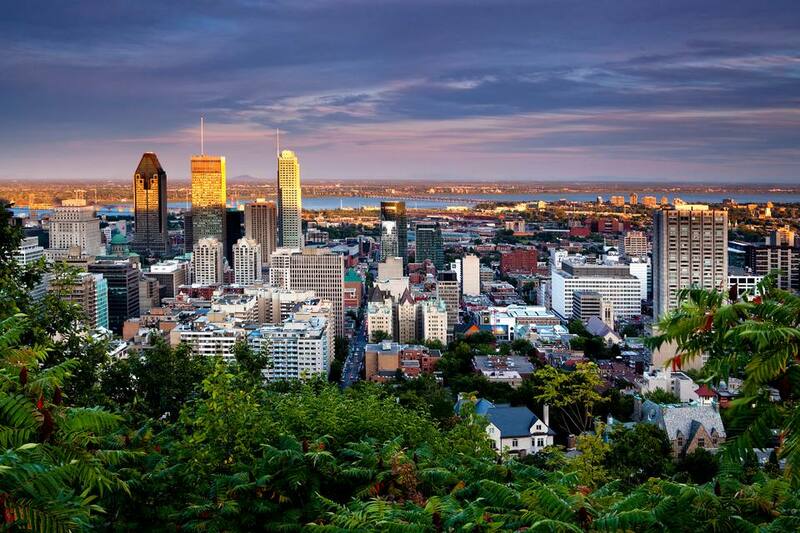 Montreal's city core is packed with must-see museums, shopping destinations, and an array of fun things to do. Montreal's premiere art destination is also the city's largest museum attraction, with a permanent collection of 41,000 works, from ancient artifacts to Italian renaissance art. The Montreal Museum of Fine Arts also features a handful of temporary exhibits every year covering a wide range of themes and timelines relevant to art history, whether showcasing the greats of Parisian fashion and trendsetters of New York's art scene or revisiting China's terra cotta army and the art of ancient Andean civilizations. There's no lack of shopping options in Montreal's downtown core, with nearly a dozen different shopping centres connected to Montreal's underground city. Spend the entire day exploring them and head outside for a peek at Ste. Catherine Street's store-lined thoroughfare. Other downtown shopping destinations include the art galleries and high-end boutiques of the Museum Quarter, a small district surrounding the Montreal Museum of Fine Arts. Located on the 5th floor of downtown Montreal shopping mall the Eaton Centre, Montreal has had its own wax museum since 2013, named after and in association with the infamous Musée Grévin in Paris. One hundred twenty celebrities, both local and international, alive and dead, are primed to pose. While you're at Montreal's Grévin Wax Museum, grab a few pastries. They're signed Christian Faure, one of the city's finest pastry chefs whose previous mandates include working at Maison Dalloyau Pâtisserie in Paris and heading a team of 65 pastry artists at the Prince of Monaco Palace. A veritable cabinet of curiosities located on McGill University's downtown campus is the Redpath Museum. The natural science museum features everything Egyptian mummies to shrunken heads to dinosaur bones. Located 185 meters (607 feet) above street level is Au Sommet PVM, a Montreal observation deck on the 46th floor of Place Ville-Marie, a shopping mall and office building connected to Montreal's underground city. It's one of the best skyline views in Montreal. While you're there, visit an interactive exhibit showcasing various landmarks visible from the deck and then drop down to the 44th floor for lunch (or dinner) at Les Enfants Terribles, the highest restaurant and terrace in the city. For some of the best wood oven pizza in Montreal, head to downtown pizzeria Il Focolaio. For the perfect French bistro foie gras, wine and dine at Brasserie T. It's adjacent festival hub Place des Festivals and the Musée d'art contemporain. Rub shoulders with the locals at Café Parvis, a casual yet gorgeous bistro/café bursting with plant life hidden away on Mayor Street known for its delectable salads and pizzas. Eat cheap (and well) at Kazu, the ultimate Japanese pub in Montreal, located on Ste. Catherine Street. There will be a lineup. It's inevitable. Otherwise, head to nearby Otto Yakitori for the izakaya's namesake: charcoal-grilled chicken, meat, and seafood on skewers. Vegetarian options available. Café Ferreira features upscale Portuguese on Peel and just up the street is Campo, an affordable chicken rotisserie joint run by the same family managing Café Ferreira. And for a sampling of Montreal smoked meat in the neighborhood, head to Reubens on Ste. Catherine Street. A slice of Rome is on view in the heart of downtown Montreal where Mary Queen of the World stands. The minor basilica is a replica of Saint Peter's Basilica, about one quarter to one third its size. Both the interior and exterior are faithful to the original save for the 12 apostles lining St. Peter's façade. Instead, the Montreal erected statues of the 13 patron saints representing the 13 parishes in Montreal at the beginning of Mary Queen of the World's construction in 1870. Discover highlights of Montreal, Quebec, and Canadian history at the McCord Museum, where nearly 1.5 million artifacts are housed, from First Peoples objects to photographs and paintings to costumes and textiles. Temporary exhibits on the subjects of fashion, art, and pop culture through time are regularly featured. The outdoor hub of Montreal's top annual events, from the Montreal Jazz Festival in the summer to Montréal en Lumière in the winter, Montreal entertainment district Quartier des Spectacles is a festive gathering place year round, home to Montreal's chief contemporary art museum, a concentration of the city's live music venues, and Place des Arts, the largest performance arts centre in Montreal. The downtown core is rife with bars, notably Montreal's Irish pub scene. For a sampling of the city's best local microbrews, try Benelux on Sherbrooke Street or further east at Le Saint-Bock in the Latin Quarter on St. Denis Street. Grab a glass of red at Brasserie T, a French brasserie overlooking Place des Festivals. N sur Mackay proposes an elegant ambiance, 40 different kinds of whisky, and choice cocktails. Head to Vietnamese pub Le Red Tiger on de Maisonneuve for its elaborate drinks and Asian tapas and keep your eyes peeled for Gokudo, a secret Japanese cocktail bar hidden behind a fish shack. The Montreal Gay Village is located on the eastern edge of downtown Montreal, an especially vibrant neighborhood in the summer when its main thoroughfare, Ste. Catherine Street, closes off to cars and opens up to pedestrians. While you're there, drop by Stereo after 2 a.m., a choice Montreal afterhours club attracting with one of the best sound systems in North America, attracting both an international crowd and top 100 DJs. For the most colorful sangria blends in the city, head to Le Saloon. And order a poutine or brunch at Le Resto du Village, a super friendly 24-hour restaurant/snack bar on Wolfe Street.